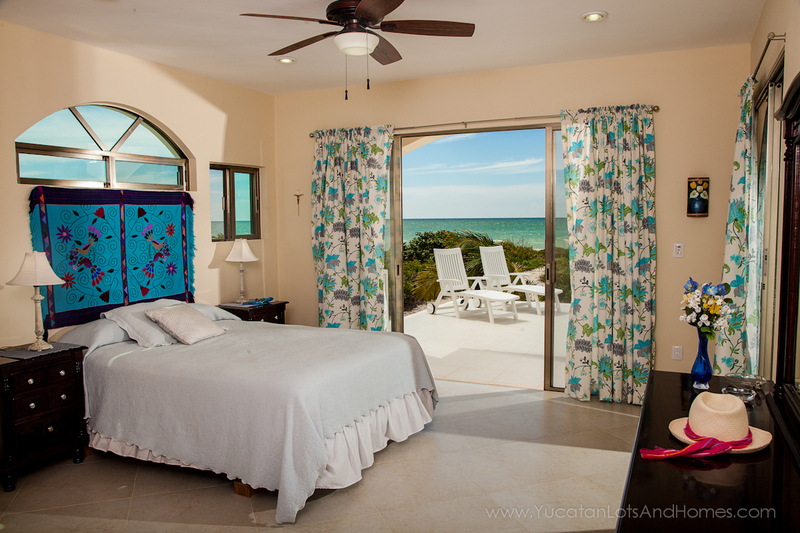 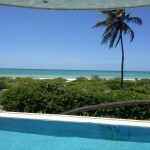 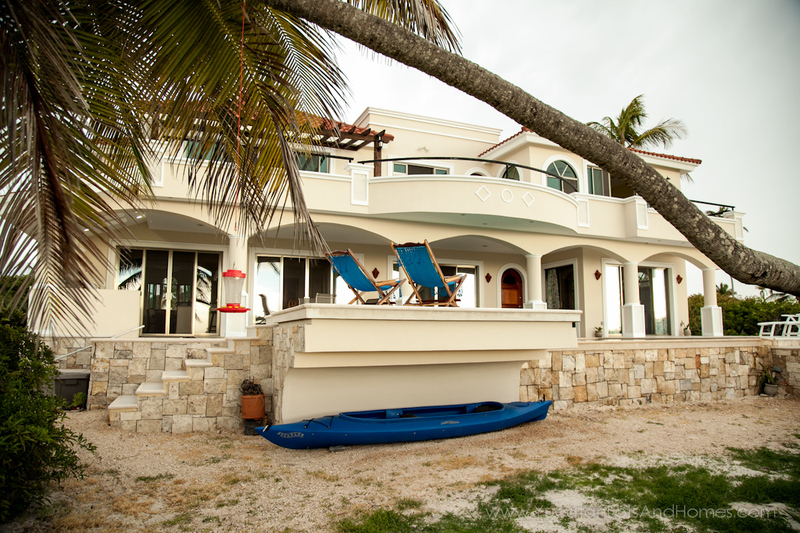 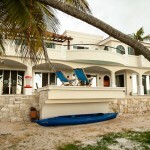 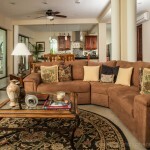 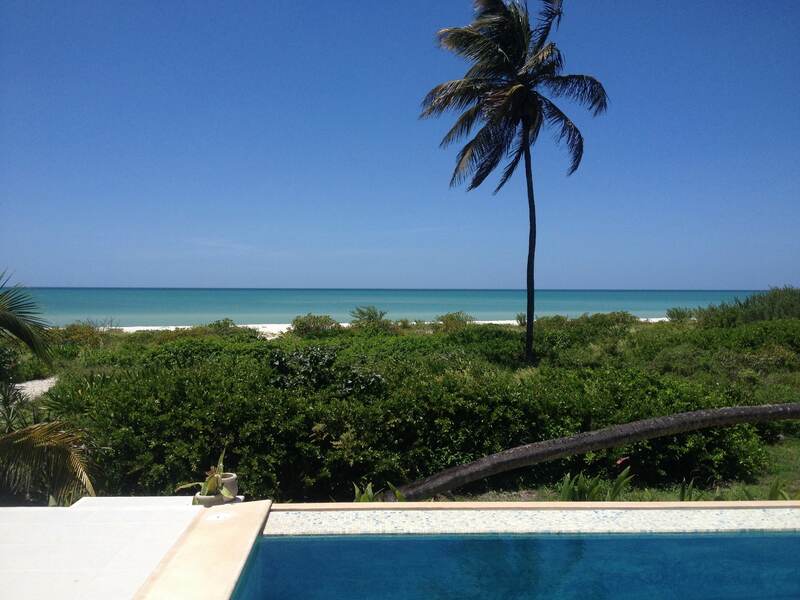 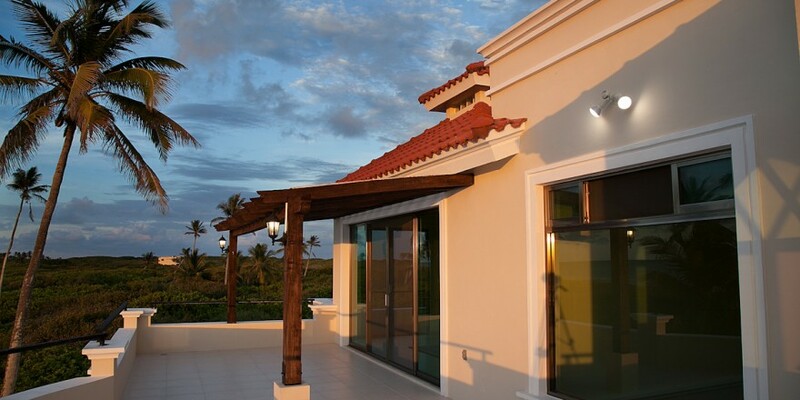 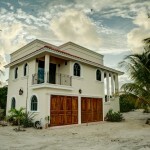 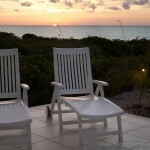 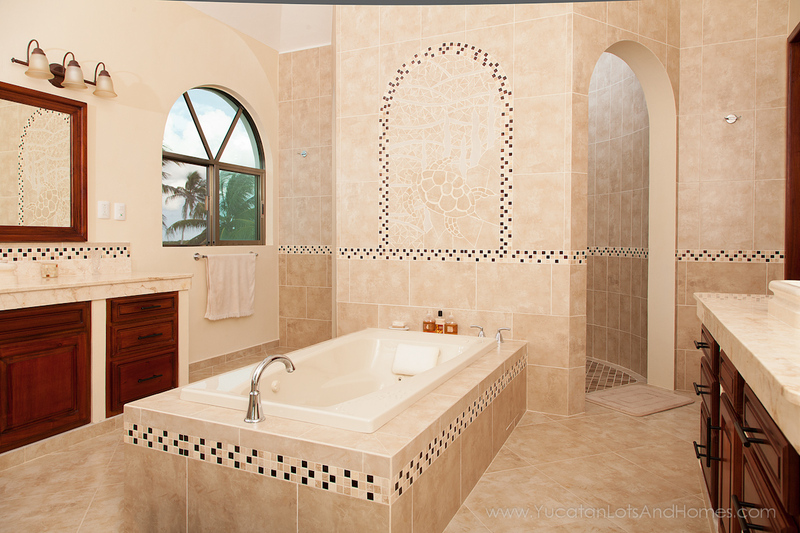 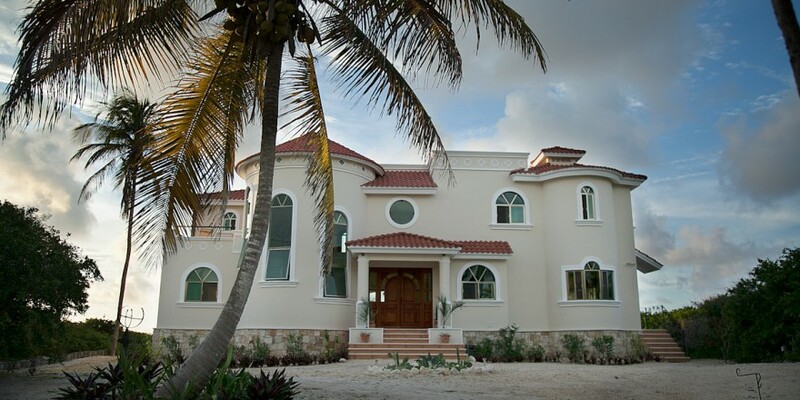 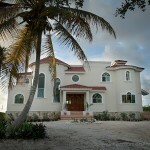 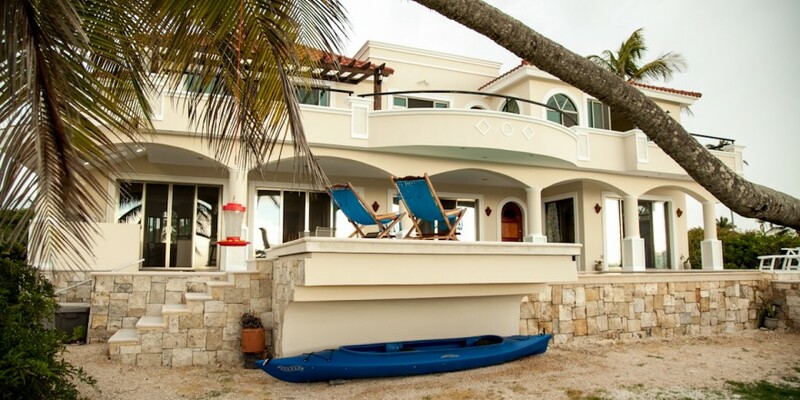 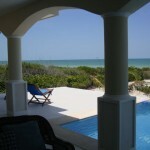 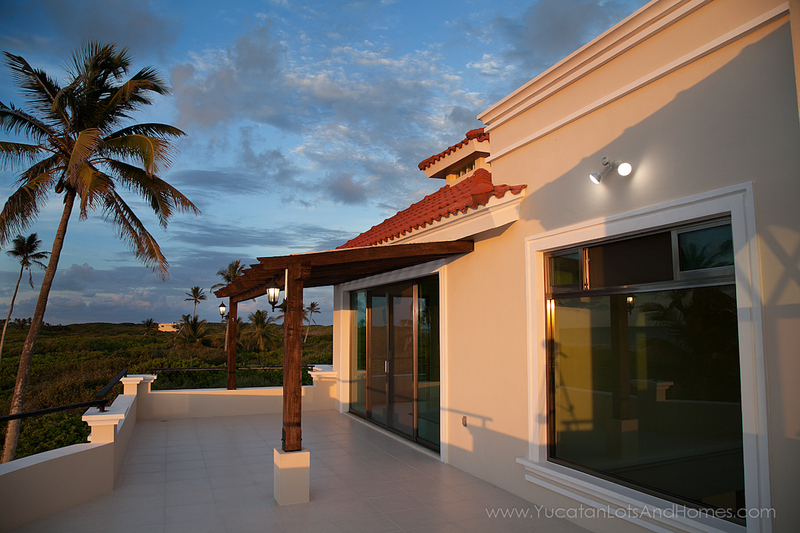 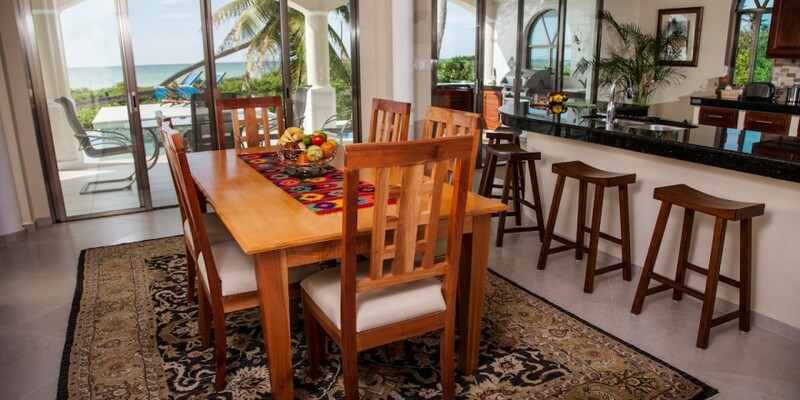 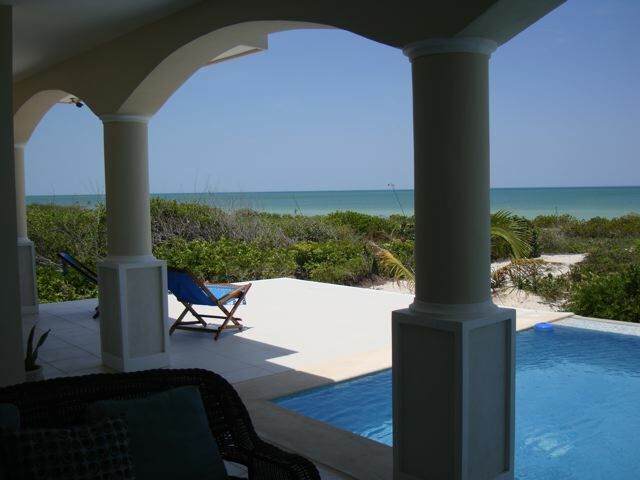 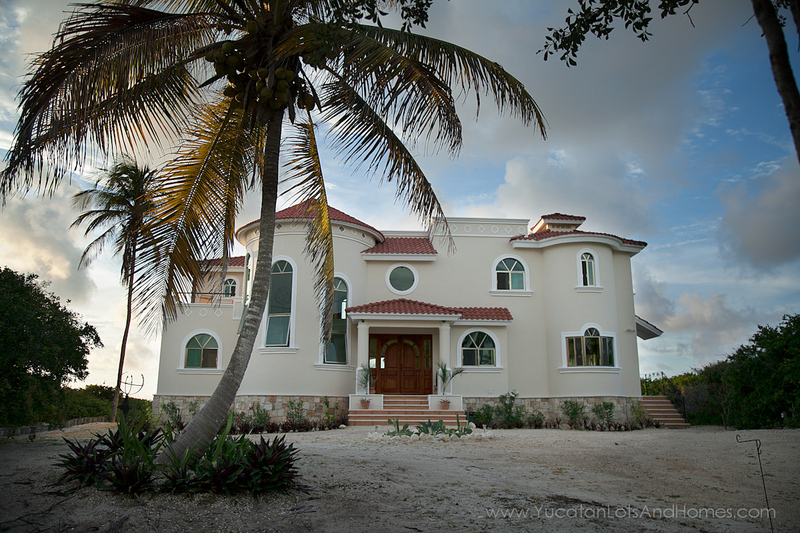 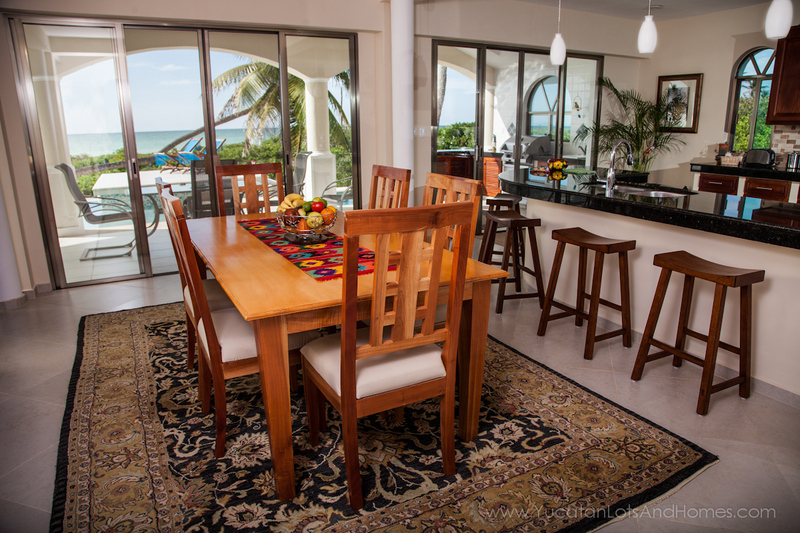 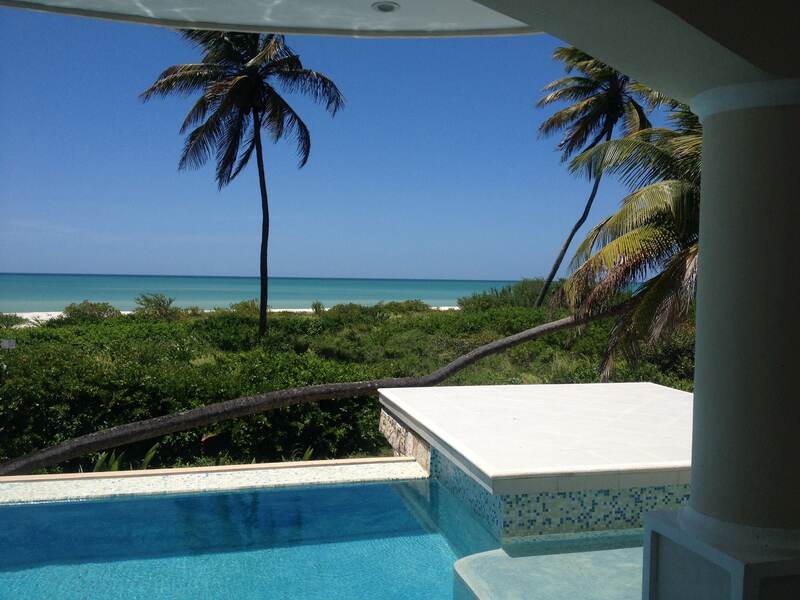 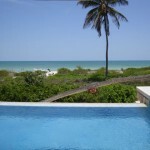 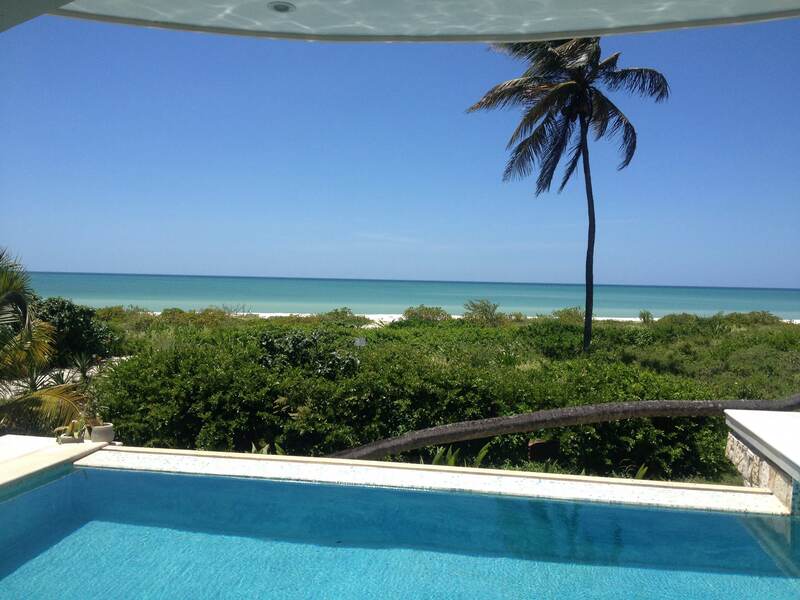 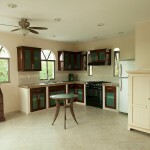 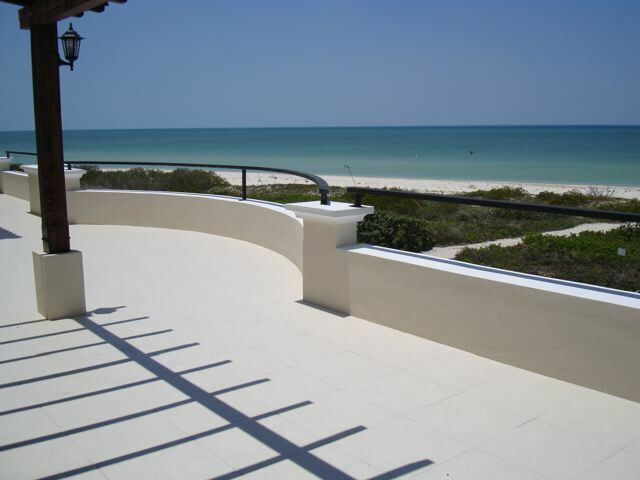 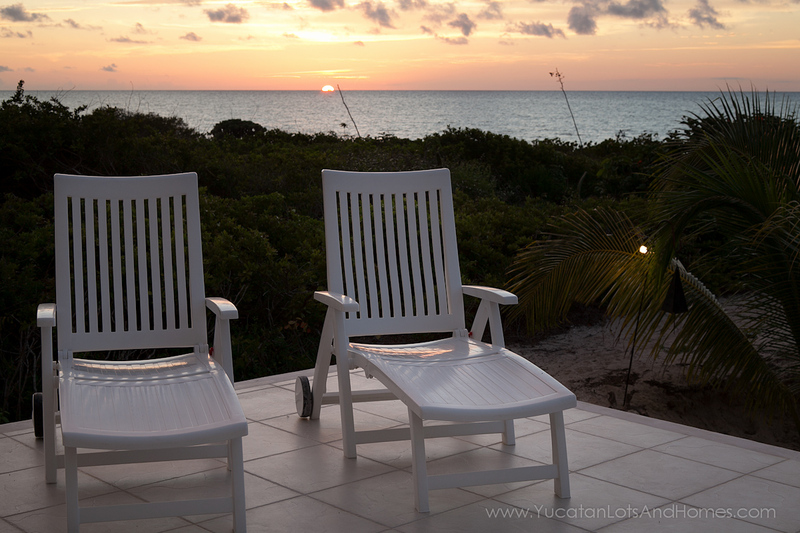 This Luxury beachfront home in Sisal, Yucatan is now for sale! 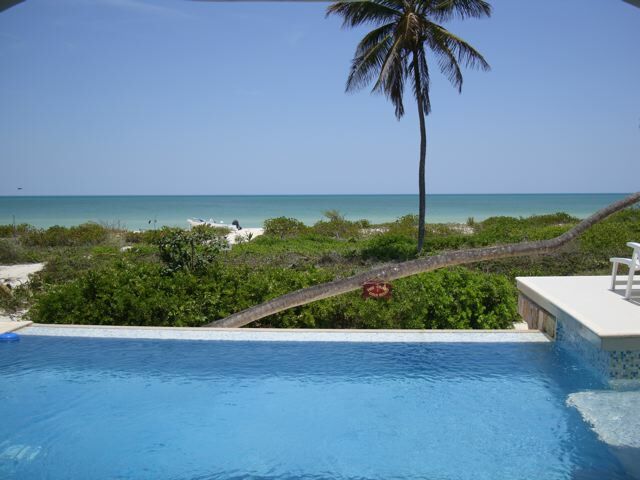 This Modern Day Luxury Oceanfront Home is only four years old, and it offers all of the luxury, privacy and comfort you will ever want or need. 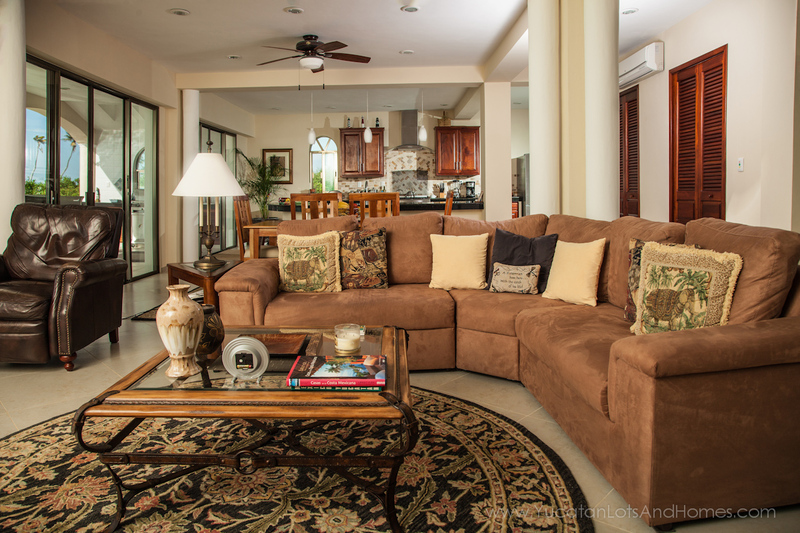 This home is located in a gated community and, along with the separate casita, measures over 6,000 square feet, and the terraces and pool area account for an additional 2,000 Square feet. 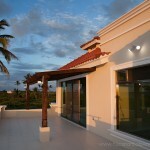 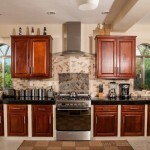 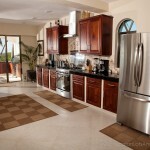 Everything is custom made, with the highest quality building materials. 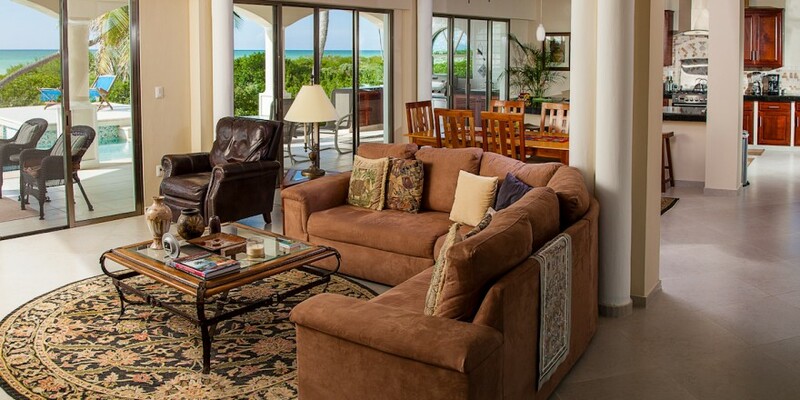 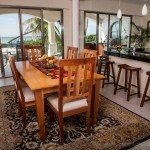 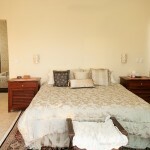 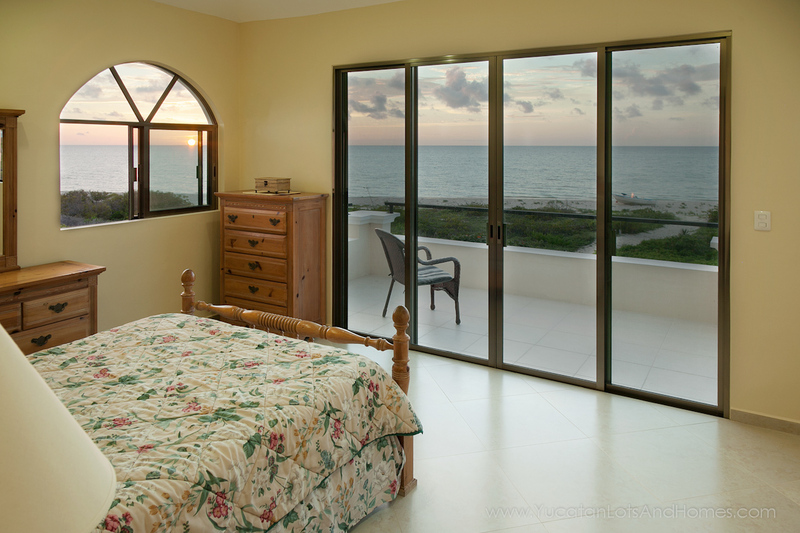 All three bedrooms have breath-taking views of the ocean. 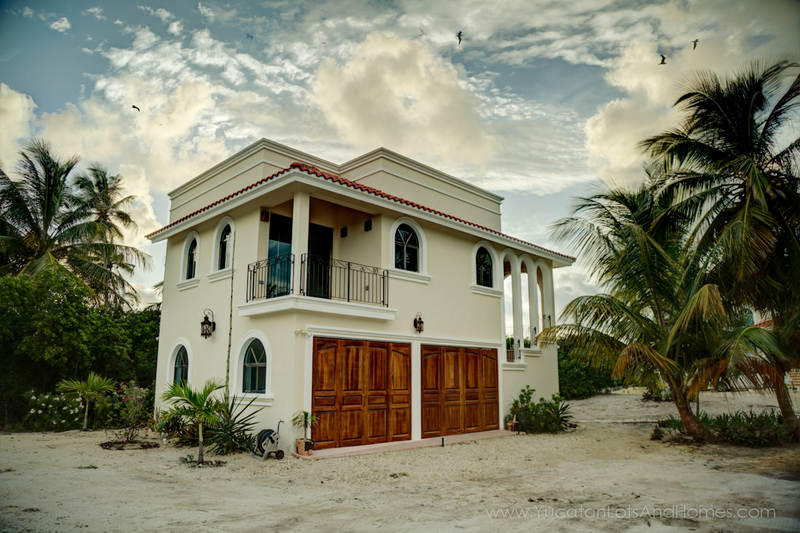 In addition, there are 4 bathrooms, a living room, a dining room, a chef’s kitchen, and a separate self-sufficient casita with a two-car garage and caretakers quarters. 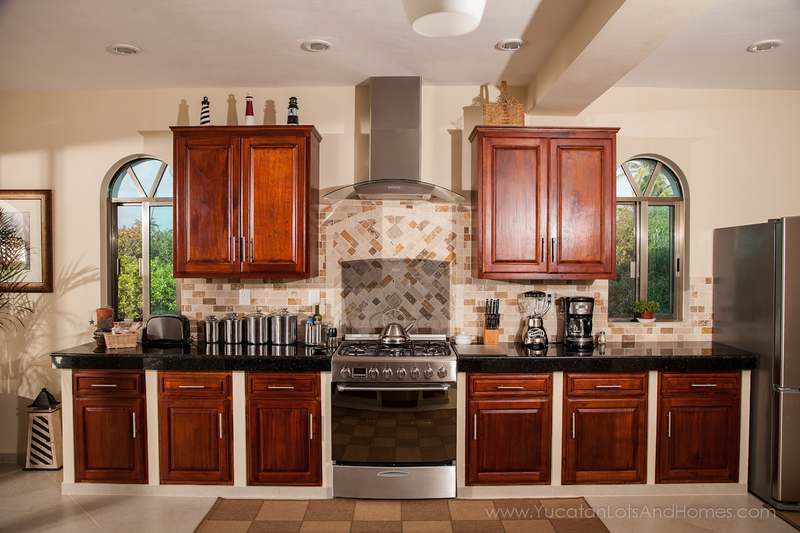 This house has an enormous downstairs covered terrace area with a built-in outside kitchen, with custom wood cabinets, a table, lounging chairs and a gas grill for outside entertaining. 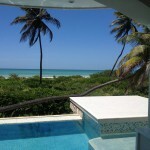 There is an Infinity Pool and cool water Jacuzzi with jets. 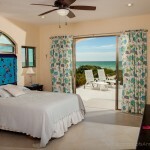 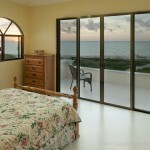 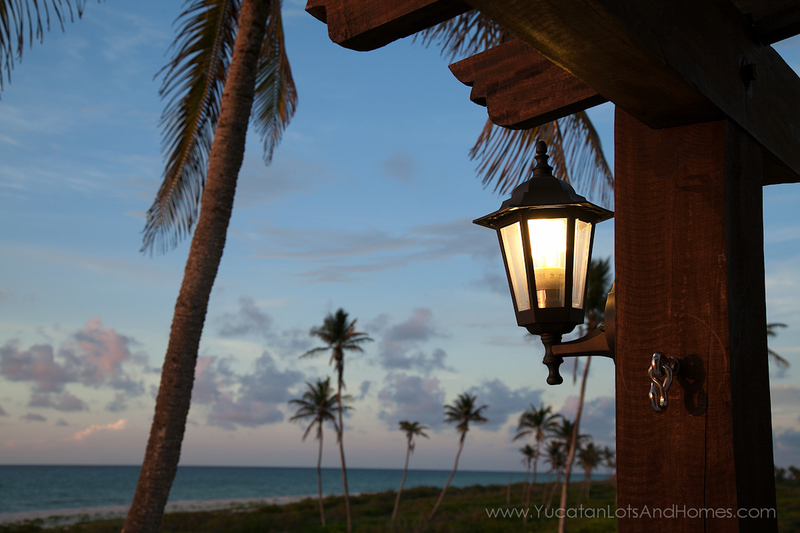 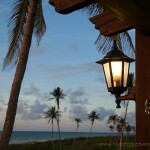 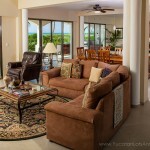 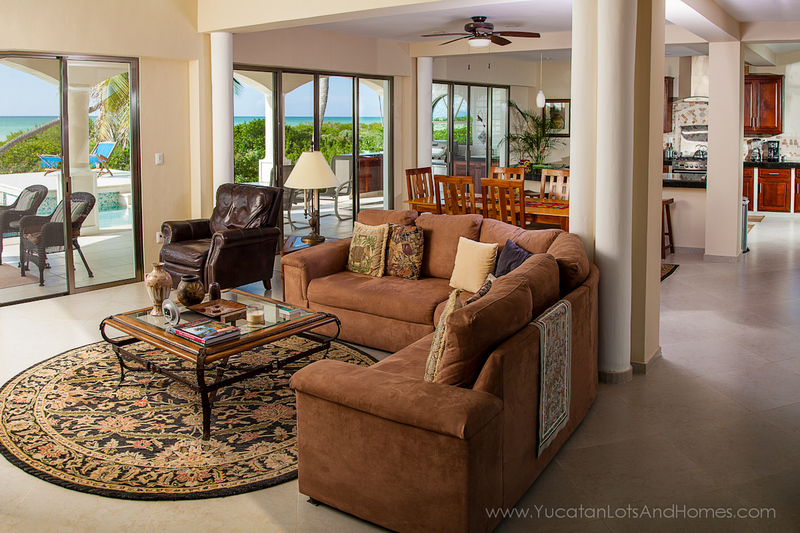 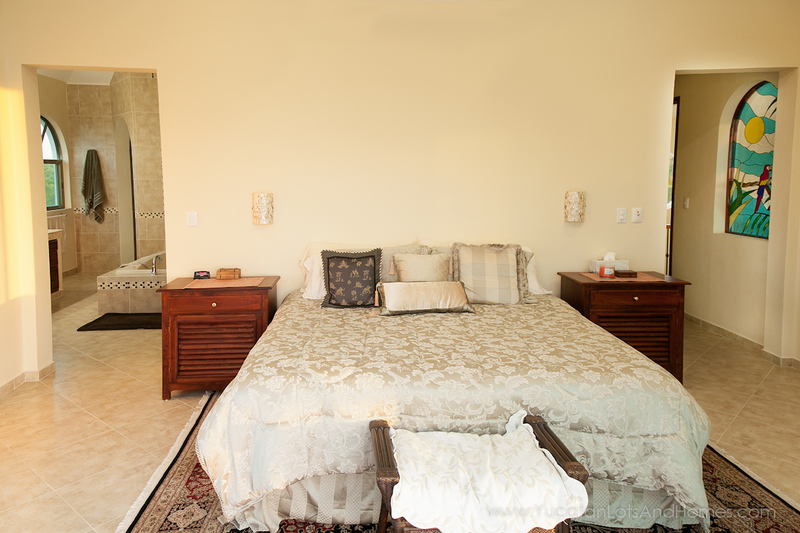 There is a separate self-sufficient casita with an ocean view. 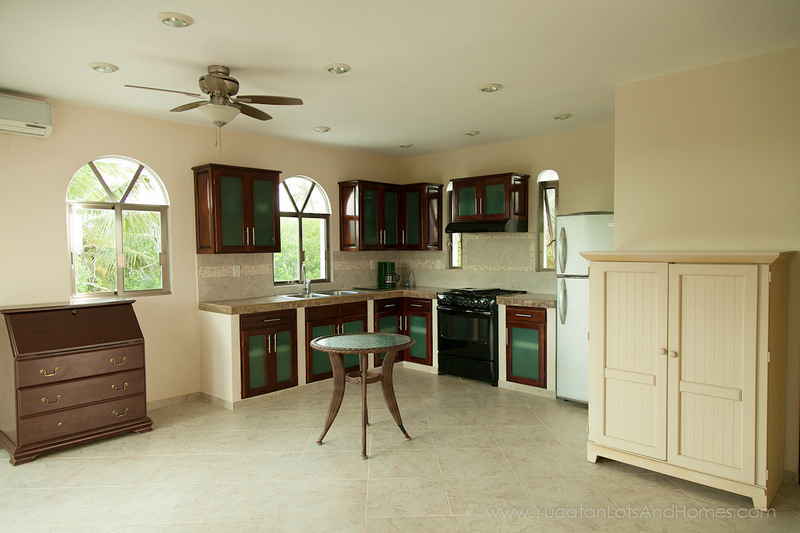 La Casita has a kitchen with granite counter tops, custom woodwork cabinetry, dining/living room area, a bedroom, a bathroom and 2 balconies. 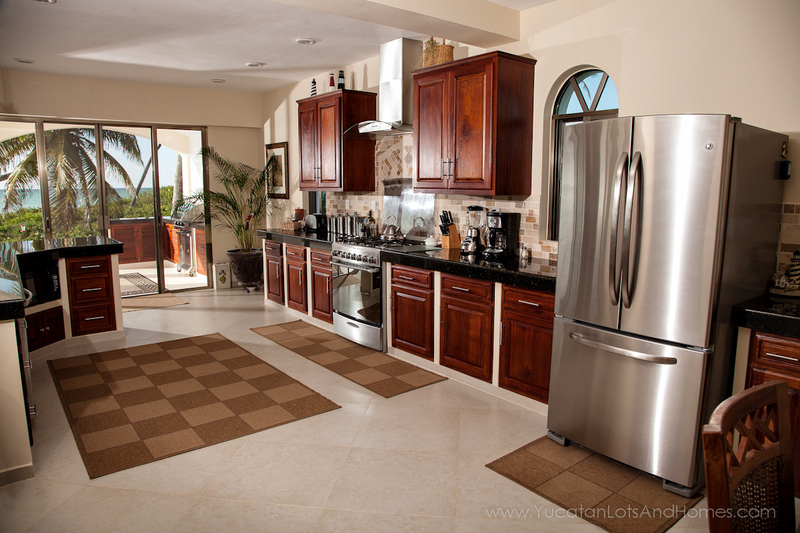 The lot measures approx. 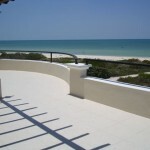 25 meters (82 feet) of beach frontage by 100 meters (328 feet of depth). 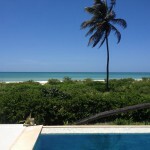 Mexican Corporation already established for easy transfer of shares.